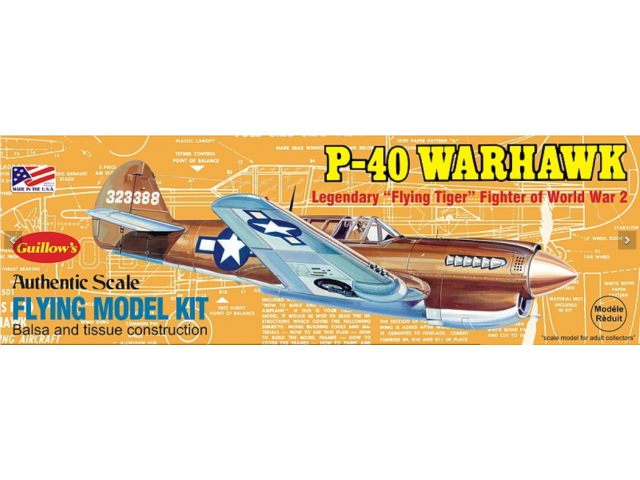 This kit contains material for building one flying model. Contents include: accurate scale building plan, precision laser cut balsa parts, light vacuum formed plastic for nose cowl, cannopy &small external details, genuine decal set, scale plastic main wheels (where required), rubber motor band, plastic propeller, plastic thrust bearing, wire propeller shaft, covering tissue and generous quality of strip stock. 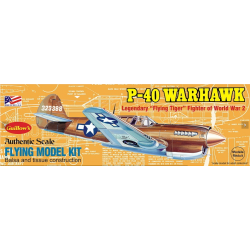 Tools and accesories required (not included in kit): adhesives (model airplane cement, white glue or CA super glue) for model frame construction and white glue for tissue covering, clear acrylic spray for a protective finish coat. Model building tools and accessories such as workboard, common pins, exacto knife, paints, etc.